​OpTic Gaming announced the addition of jungler Joshua "Dardoch" Hartnett to the organization for the upcoming 2019 NA LCS season. 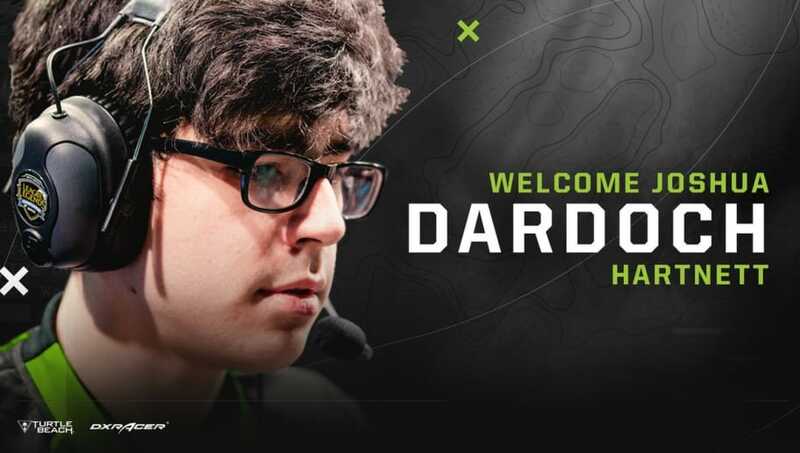 ​​OpTic Gaming announced Dardoch as another jungler on its ​League of Legends roster for the 2019 NA LCS season. The moves comes as a perplexing one considering OpTic already announced ​William "Meteos" Hartman as its starting jungler for next year. It remains to be see if Dardoch and Meteos will split time, but OpTic Gaming now has two junglers on its roster ahead of an important year for the organization. It bolstered its lineup by adding former world champion Lee "Crown" Min-ho in the mid lane on Nov. 25.